Hi! I’m Emily, and I’m currently in my second year at Bangor University, studying Applied Terrestrial and Marine Ecology. I studied both Environmental Studies and Geography for my A-levels at Woodroffe, and as cheesy as it sounds, I’m really glad I did. I really enjoyed studying them, and these subjects are responsible for helping me get to where I am today. I found them fascinating, and, along with the help of my teachers, they allowed me to expand my knowledge of the world around us, develop opinions, and explore my interests within the subjects. In particular, Environmental Studies introduced me to ecology (something I didn’t know existed beforehand!) and now I’m loving studying it at University! I am studying BA Geography at the University of Birmingham (despite being a BA course, the first year is equally split between human and physical content, with the choice available to choose either more human or physical modules in the second year). I chose to study Geography because I’ve always been passionate about the subject and from Year 10 I’ve always had my mind set on studying Geography at degree-level. I really like how it is such a broad, but still very interlinked, subject; which deals with many real-world issues – like climate change. At the moment, I would be interested in following a career path into one the following areas: urban planning; international development; sustainable environmental management or climatology. I am studying Ecology and Wildlife Conservation at Bournemouth University. In my first semester we have been on fieldtrips to various locations including Arne, Studland, the New Forest and Durlston Country Park. I have gained knowledge of species identification, data analysis and report writing. I am hoping that as I progress through this course, I will have a better understanding of the career I wish to pursue. Currently, I am definitely interested in focusing on threatened species protection along with human influences on the environment. 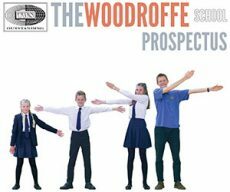 “I started at Woodroffe in 2008, with an underlying passion for wildlife and the natural world, and thus in my lower school years I enjoyed studying Biology and Geography the most. By Year 9, I knew I wanted to study and ultimately work for our Planet in the future, thus when choosing GCSE’s I was set on choosing Environmental Studies. Due to my conflicting musical interests and the then-limited option combinations however, I could not choose this subject, but I was thrilled to discover that by studying a GCSE in Geography I could study the Environmental Studies A Level. I left Woodroffe in 2015 with my top grade in Environmental Studies and an offer to study Zoology (BSc) at Swansea University! I graduated with a 1st Class Honours in 2018, and I have been fortunate enough to have recently been offered a Trainee Ranger position with the National Trust’s East Devon Countryside Team. Though only a voluntary role, I believe this traineeship will equip me with the practical skills, knowledge of environmental management, and experience in visitor engagement needed to stand the best chance of securing a job as a countryside ranger or an environmental education officer.